I’ve known Laurel and Ric Barton for over 17 years and marveled at their ex-pat adventures in Italy. Using Rome as a home base, they explored up-and-down the Italian boot for over 5 years, finding and blogging about Italy’s hidden (and not so hidden) gems like the Dolomites and the Val Gardena in Alto Adige. Our Favorite Place in Italy. After the morning rain cleared to reveal lapis skies, the red egg-shaped cable car whisked us to the mountain station high above Ortisei (how to say it). Tears welled in my eyes as I stepped out and took in the magnificence of the Alpe di Siusi (how to say it). Lush green meadows, jagged peaks, and vast pine forests filled me with tranquility while my ears discerned the pleasant tinkle of cowbells in the distance. I knew we had found a place that would become very special to us. At GoodDayRome I have blogged endlessly about the Dolomites, the Val Gardena, Ortisei, and the Alpe di Siusi. Over the course of five summers we returned, immersing ourselves in the crisp mountain air, the pristine villages, the incomparable natural beauty, the endless hiking and walking trails, and the vast network of public transportation that makes it all possible. It is the perfect spot for a break from a tour of Italy, and even a destination in itself for a different type of European holiday. Especially in summer, one finds a respite from the heat and crowds of Roma, Firenze, and Venezia. 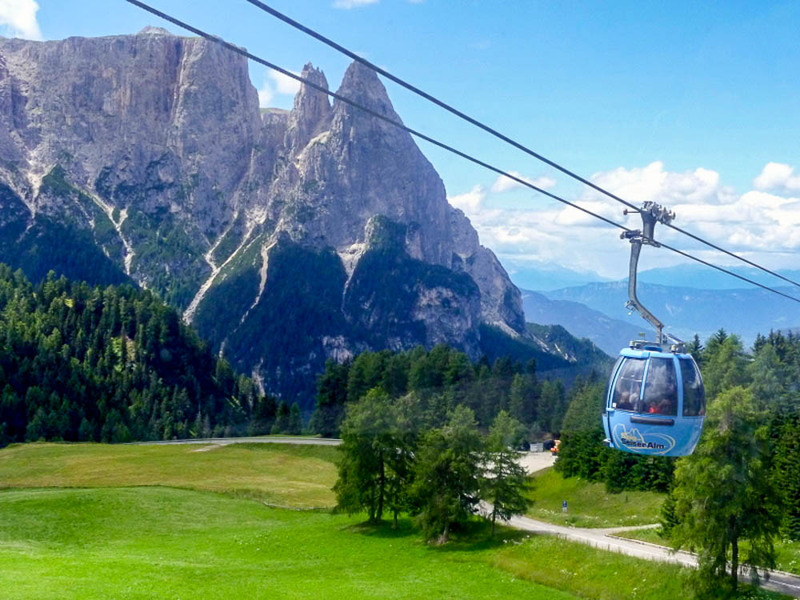 Ride the gondolas up to pristine alpine hiking. There are charming little villages, stunning mountain scenery, and alpine meadows that are easily accessed by a comprehensive system of cable lifts and gondolas. Even non-hikers will enjoy riding the gondolas for the views and having lunch in a mountain restaurant. Buses provide transportation efficiently between towns and to the dramatic mountain passes, all covered by the “Mobility Card” bus pass issued by the B&Bs, hotels, and pensioni. There are hikes for people of all abilities, youthful and seniors, singles and families. Everywhere are the magnificent views that have had us coming back time and again. Hiking paradise in the Val Gardena. It was hard for us to imagine the Val Gardena and the Alpe di Siusi before we visited the first time. We had hiked extensively in Oregon and some in Colorado and Washington, where a car is a necessity, carrying your own food and water is mandatory, and tending to your hygienic needs meant finding a private spot out-of-sight of the trail. Pack-it-in-pack-it-out was our mantra. In the Dolomites, we found the incredible transportation system that allowed us to visit without a vehicle, enjoy groomed trails, great signage, and – our favorite thing – Rifugi. Rifugio (plural is spelled rifugi — how to say it) is an Italian word meaning shelter, refuge, or haven. We think they are heaven! Imagine hiking for an hour-or-so and finding a quaint but modernized café, with a terrace overlooking the mountains, where they serve a perfect cappuccino, strudel, wine, beer, snacks, salads, and hot lunches, all freshly prepared and served on real plates with real flatware! No paper cups, no plastic forks, no tipping, and seldom self-service. There is always a clean restroom. Visiting Ortisei and the Alpe di Siusi. When visiting the area, you will want to spend at least three nights (five or more nights is better). This is a destination to savor and weather can be fickle and change quickly. Those who stay only a day-or-two will find they wish they had planned for more time. There is plenty to keep active hikers engaged for a couple of weeks. We happily passed an entire month in Ortisei, hiking daily. 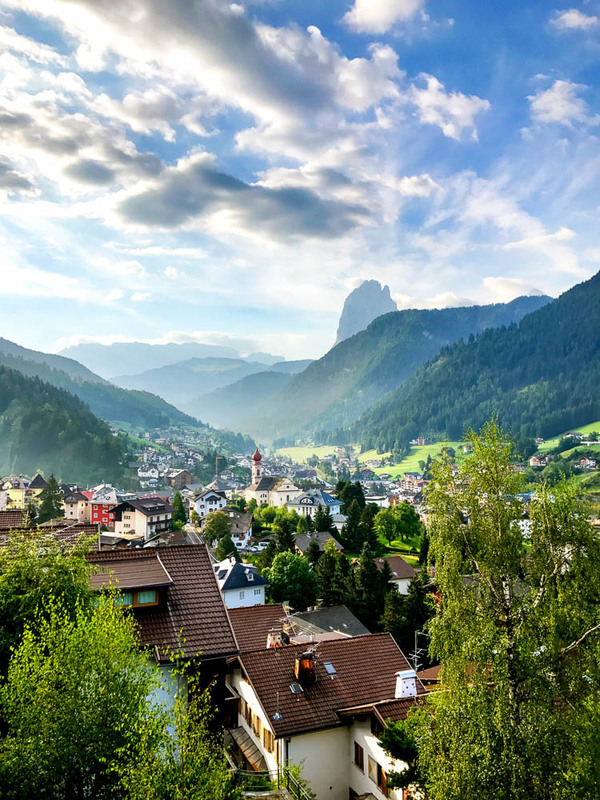 If you have already seen “The Big Three” in Italy (Venice, Florence, Rome), consider making the Val Gardena and Alpe di Siusi part of a future trip. Lodging is plentiful and affordable, the food is excellent (it is in Italy after all), trails are groomed and well-signed. The locals are multi-lingual, so if you speak Italian or German, great! If not, English is widely spoken. Resources for planning your trip to Ortisei. Planning a trip to the Dolomites is easy with the great info you’ll find on the web — check out Rick Steves’ online guide or work your way through Lonely Planet’s guide to the area. It’s worth buying a guidebook or two, though the selection is a bit limited (with one exception, Laurel’s very good and handy hiking guide). 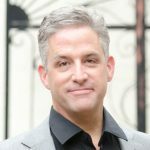 Lodging is plentiful, and I offer a few recommendations that make for a superb home base for exploring. Restaurants abound, just go with the local fare and you can’t go wrong. The view of Ortisei and the Dolomites from my balcony at Panorama Gran Tublá. Awesome. 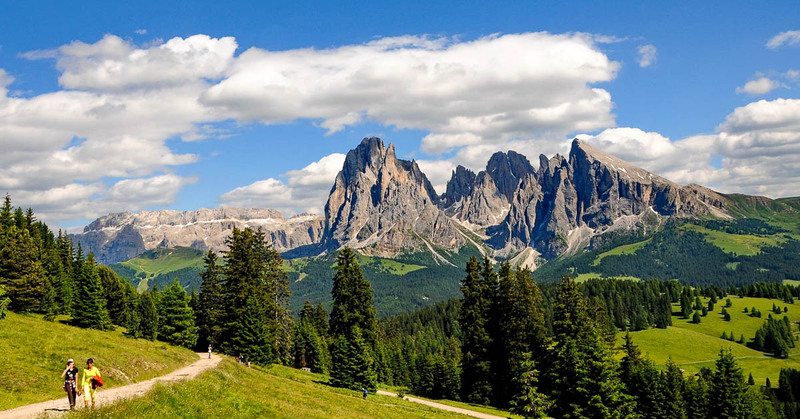 Walking in Italy’s Val Gardena — Laurel’s concise, easy to use guidebook for 20 easy-going hikes. The printed version of the book is great, but I carry the iPhone Kindle version with me while hiking — perfect. 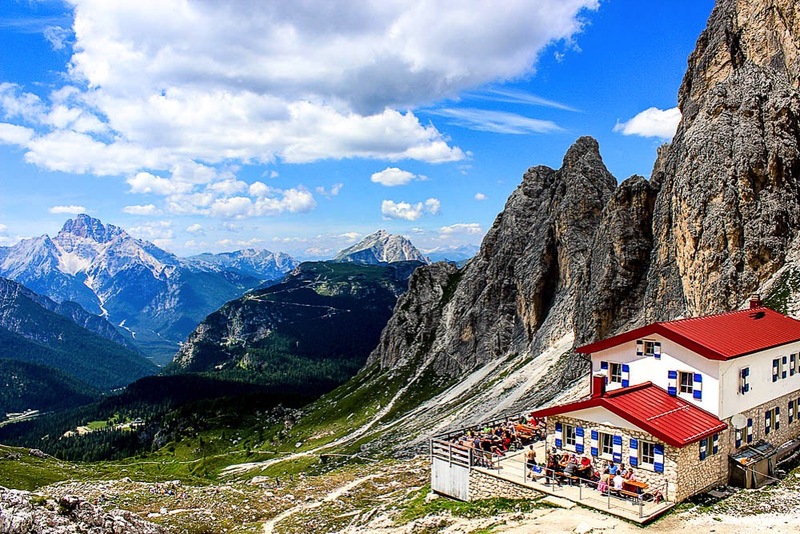 Easy hikes to the Most Beautiful Mountain Huts in the Dolomites — adventurous foodies love this fun guide for hikes to Rifugi in the area. Written by an Italian couple, the English is a little rough in spots but you’ll get the gist of it. Panorama Gran Tublá Condo Hotel — this is where I stay in Ortisei. Gorgeous views overlooking the town and the valley, and it’s walking distance to everything interesting. This place books up quickly — If you can get in here, do it. Hotel Adler Dolomiti Spa & Sport Resort — drop-dead gorgeous, right in the traffic-free center of Ortisei, and just a 5-minute walk to the Alpe di Siusi gondola. This is more of a spa, so you pay extra — but the services and scene are outstanding. The wines of Alto Adige are rich and distinctive, dominated by white wines made with Pinot Grigio, Chardonnay, Sauvignon Blanc, Sylvaner, and Riesling. There are a few fascinating reds like Lagrein and Pinot Noir that will turn your head. No matter what, you’ll find delicious wines that really ring true with the local food. For an introduction to what the alpine climate can do for the wines, I recommend a white like Riesling from the Valle Isarco winemaking area. 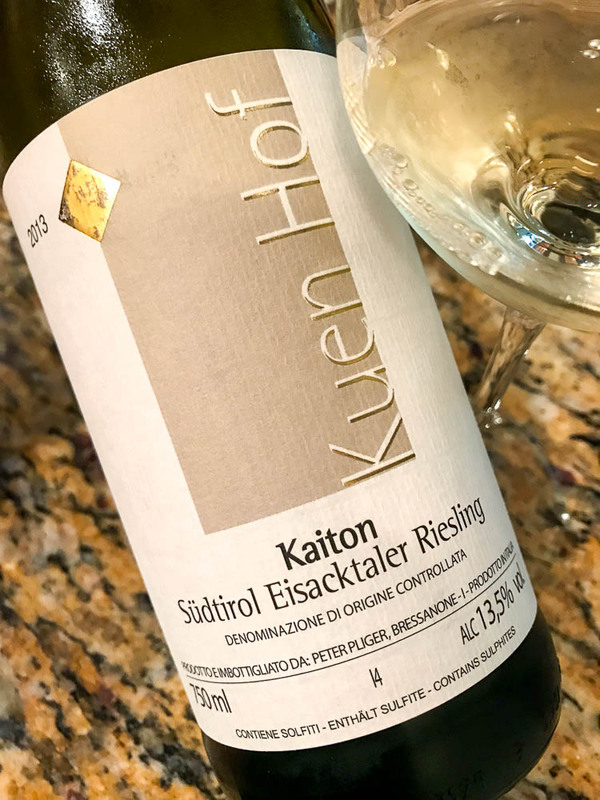 Kuenhof is a micro-producer making a delicious dry Riesling from their steep, stony vineyards that impart serious minerality into their wines. Their dry Riesling delights the nose with green herbal notes of wild arugula, lime zest, and honeysuckle. When you take a sip, it transforms into classic lemons and limes, but also star fruit and maybe a touch of banana on there. 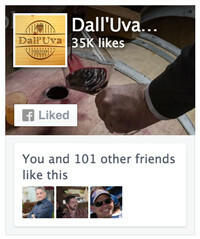 The minerality of the wine is distinctive and really comes through on the palate. You can buy Kuenhof’s Riesling here in the States (just check here), but there are many local wines that never make it to the States — there are just too few bottles made, and they drink everything locally. Hunt down the rare gems while you’re there. 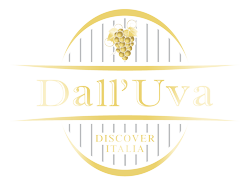 Just drop by a wine shop or ask your waiter for something local to pair with your wine, simply ask for vino della zona and they will understand. Laurel Barton is the author of “Walking in Italy’s Val Gardena” as well as her three blogs Good Day Rome Our Weekly Pizza and Project Easy Hiker. Laurel and Ric are now retired and enjoying the next chapter of their enchanted lives in Lincoln City, Oregon. You can reach Laurel via her Facebook page.